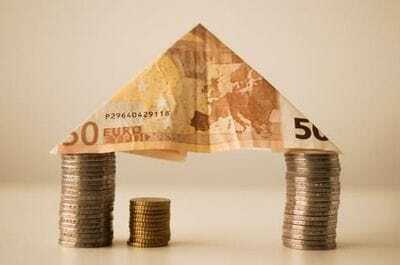 Why should we buy an investment property? Can overseas residents buy real estate in Australia? 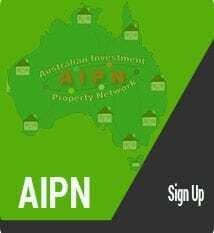 What can the Australia Investment Property Network (AIPN) do for you? What makes Australia a desirable destination for migrants? Why should international investors buy property in Australia? Where should you purchase an investment property? What is NRAS and how do you benefit from the income tax rebates? Want to buy or sell a property RIGHT NOW? Do you want to sell your property for a healthy profit OR make real estate agents rich? How are you protected when buying a property from AHP & AIPN? Do you want to know more OR do you have another question? To save you time simply scroll to the top of the page and click on the questions you want answered and it will take you to the relevant section. Can overseas residents buy in Australia? Australia is a wonderful country where you will have an equal opportunity to become unequal. That is of course if you do not want to be classified as "average" which means being happy to live like everybody else (which means you will need support from the government to survive in your retirement).. If you would like to be part of the 5% of Australians who retire independently wealthy you need to invest your money wisely. Making your money work for you instead of working your whole life for money. James Cagne y's interest in Real Estate was kindled when he realized that immigrants have the opportunity to buy investment property in Australia whilst still living outside of Australia. Many migrants mistakenly believe they can only do this when they arrive in the country. However, buying property is in fact more difficult once migrants settle because they have no credit record or equity in their new country - two ingredients essential in order for the banks to lend money to purchase a home. As a result many migrants have to wait several years before they can buy a home, which can be very stressful as rents are high and "dead money". Housing prices continuously rise in urban areas, and new migrants can't afford to buy and therefore have to rent. Unfortunately the cost of living is rising continually and migrants are finding almost impossible to save for a deposit for a property. Unbeknown to most migrants and overseas residents, they can actually borrow between 70% to 80% on the property from Australian banks, whilst they are still living and working in their home country. The easing of the South African Reserve Bank exchange control restrictions has helped many South Africans to fund the deposit and costs to enter into the property market prior to their immigration to Australia. A deposit of around 20% plus purchase costs is required and most investors from developed countries have no exchange control and can easily deposit the money safely into an Australian solicitors account. 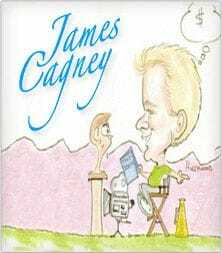 James Cagney is a registered Real Estate Agent in Queensland. James is able to help you purchase Queensland property as well as the other States in Australia through professional associates. James has reliable contacts with real estate agents around Australia i.e. Melbourne and Victoria property; Adelaide and South Australia property; Canberra and ACT property; and Darwin and Northern Territory property, Hobart and Tasmania and Perth and Western Australia. Investment property anywhere in Australia can be sourced through registered and local experts so give us the destination of your choice. Just click >>>>here and give us your destination and price range for Australia and New Zealand. What can the Australia Investment Property Network do for you? At the Australia Investment Property (AIPN) network we work hard for our clients to assist them in purchasing exceptional Australian property for owner-occupier and investment purposes. These include houses, villas, townhouses, apartments and land purchases. We offer an integrated system to help our clients purchase quality real estate which offer maximum capital growth and sustainable rental returns. To find out more about how you can benefit by joining the Australian Investment Property Network click >>>> JOIN. Help you understand the Australian property market. Source the best property to fit your budget and circumstances. Arrange mortgage finance and bank accounts with favorable terms and conditions. Refer you to independent and reputable professionals to complete the purchase and look after the property after the purchase e.g. Solicitors, Mortgage Brokers, Bankers, Accountants and Property Managers etc. James Cagney has in-depth knowledge of the Australian property market and he is willing to assist you with your investment in Australia. James is a member of the Property Investment professionals of Australia (PIPA). This is an organization dedicated to delivering a hi gh standard of ethics and services within the Real Estate Industry and has stringent standards to meet before and after membership is approved. James is the founder of Wealth Mentors, a group of investors that assist clients to invest wisely. If you would like to speak to a Wealth Mentor to help you sift through the plethora of investment advisers and consultants wanting to sell you shares, futures, commodities, property, ostrich feather, Pine trees etc. etc. please click >>>>. here . Let's face it advisers have their own wheel barrows to push and it is hard to get unbiased opinions in where to put your hard earned money.. These sales people will justify themselves by stating they have a living to make and need to make commissions and fees but how does that help you? Take action and contact us TODAY. For more information on AIPN, please click here. Despite the world economic crises Australia has one of the most stable economies in the world. The Asia Pacific region is an area of enormous economic growth. Australia's trading arrangements in Asia with countries such as China, India, Indonesia, Philippines, Korea are predicting good growth in their economies, whilst the USA and Europe are stagnant. Global demand may decline but Austral-Asia will gain market share at the expense of higher-cost producers like the USA and Europe. 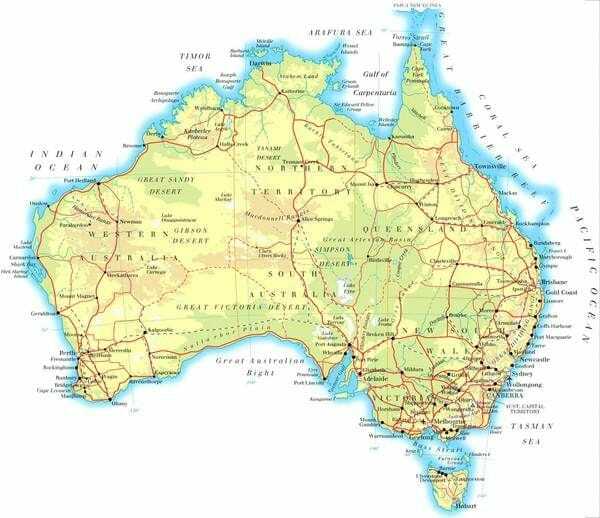 Australia has good prospects although there is a decrease in the prices for commodities. The lowest interest rates in 54 years and the declining value of the AUD against the USD and the Euro is encouraging international investment into Australia. The Australian Government has been proactive in stimulating the economy. They decided to inject vast amounts of money into new building grants, First Home Owner grants and into new infrastructure to create jobs and to stimulate the economy. The population growth rate of Australia has over the past decade has been a major factor to economic growth. Migrants have contributed greatly to this and a large percentage of migrants (64%) are in the skilled category. This means that many of these migrants are buyers and renters of quality real estate. The home affordability ratio increased by 2.4% and the average household needs 38.8% of the family income to service the home loan. This will reduce many of the marginal property buyers who will opt to rent which will increase rental returns on investment properties. For more updated information please go to the "NEWS" section and browse through the recent Articles and Property Updates by clicking >>>> NEWS . It's a hedge against unstable currencies against the AUD. Invest in a democratic country which has a stable economy, strong currency and a secure future? The median price of residential property in Australia has increased at an average of 10.5% per year over the last 50 years. You need to get into the market as quickly as you can to take advantage to ensure you can afford a home. Do not wait until you settle in Australia to buy property. You will pay more and you may not be able to get a loan. Purchasing a property prior to settling in Australia is smart because it gives you automatic credit-worthiness should you choose to take up Australian residency. The alternative of paying cash for everything when you first arrive because you have no credit record will dwindle your savings away. The property market in Australia is growing and purchasing an investment property before you settle gives you equity to buy your own home in an area where you and your family want to live. The investment property may not be in the area you want to settle because you are looking for capital growth. The area you want to settle in may not have the capital growth you want so you need to look elsewhere to make returns. Your investment property will give you personal income tax credits in Australia, which you can use when you start working and earning income in Australia to reduce your income tax. Australian income tax is high and strictly regulated and paying the tax man less when you get to Australia means more money in your pocket. We will explain how this works to you. The landlord in Australia is protected by the Residential Tenancy Act. The landlord is considered King and /or Queen as we have some of the strictest tenancy laws in the world. Ask us for more information about your rights as a landlord and how we can assist you in getting the right property management in place. For more updated information please go to the "NEWS" Tab and browse through the recent Articles and Updates James Cagney has written on property Or click >>>> here . Do you want to know more OR do you have another question? To save you time simply scroll to the top of the page and click on the questions you want answered and it will take you to the relevant section..
As many of you know the New South Wales and Victoria State government budget were recently announced and it is great news for first home buyers particularly in regional areas in the State. The governments $10,000 to $20,000 grant is up for grabs! The New South Wales and Victoria government has announced generous grants to first home buyers including no stamp duty on homes below the State threshold of $650K and $750K. These measures will enable thousand of first home buyers to achieve their dream of owning a home. In addition James Cagney has contacts with builders that offer generous rebates and terms to assist first home buyers. This is your opportunity to get into the market because this offer will not last. The grants have only been made possible due to the privatisation of State services and the sale of State assets. The money will run dry and it takes the stroke of a pen to write it into the budget and take it away. The First Home Owners Grant (FHOG) and the exclusion of transfer duty for first home buyers within a threshold of $650,000 qualifying for the FHOG, will result in price escalation and prosperity in regional areas. Unfortunately the FHOG threshold will exclude most suburbs in Sydney and the new FHOG will have less impact on Sydney property prices. The good news for NSW residents in 18 suburbs and towns, is that they will be getting a new or upgraded hospital. They also announced major expenditure on roads, schools and social services. This was made possible through the capital raised by recent privatisations, the sale of State assets and the strength of the NSW economy which has been outperforming the other states for some time. The Nationals loss of the Orange by-election last year to the "Shooters, Fishing and Farmers Party" was a wake-up call for them and was a result of them neglecting the regional areas of the state for too long. They now realise that they have to connect with local regional areas again - or suffer the same fate in the 2019 State elections. True to form, politicians always have an agenda when they provide funding and regional NSW is the winner this time. And about time. School Halls and recreation facilities to receive a huge boost in funding. Property prices in regional NSW are still affordable. We have three and four bedroom house and land packages from $300,000 available for our clients. For more information on the potential for regional NSW property click >>> REGNSW. To discover how you can benefit from the the FHOG and the properties and locations we have available, please call James Cagney on +61 416 137 645. The First Home Owner Grant (FHOG) has increased from $10,000 to $20,000 for new homes built in regional Victoria (see below) and valued up to $750,000. The $20,000 FHOG will apply for contracts signed from 1 July 2017 to 30 June 2020. Eligible first-home buyers of new homes in metropolitan Melbourne will continue to receive the $10,000 FHOG. To access the regional areas which qualify for the $20,000 FHOG click >>> REGVIC . When you buy your home, you'll most likely have to pay land transfer duty (otherwise known as stamp duty). How much you pay depends on your property's value, what you're using it for and whether you are eligible for any exemptions or concessions. These information is available >>> FHOG. Treasurer Tim Pallas claimed May 2017 Victoria budget will deliver more than $8 billion in surpluses over the next four years, with a $1.2 billion surplus this financial year. The Andrews government is spending big on infrastructure, education and law and order. Regional cities that qualify for the $20,000 regional grant and have potential are Bendigo, Ballarat, Bacchus March, Darley in the West. These areas are traveling distance to Melbourne by road and train. Victorian Premier Daniel Andrews said "If we can better regional communities with Melbourne, if we can better connect between regional communities, that's great for families, it's great for employment." The Victorian government is investing $1.45 billion in regional rail services and upgrades. More than $400 million will go towards fixing up the Gippsland line. The government will upgrade the Warrnambool lines and provide funding for the Surf Coast Rail Project. In the May 2017 budget schools will receive $50.7 million to improve poor results and the government has committed $695 million to an education works program. Cash from this funding will be put aside so land for 11 future schools can be purchased in growing regional areas. Almost 60 schools in regional areas will be upgraded and 49 schools in Melbourne. All this is good news for regional Victoria. If you would like to find out more about the opportunities in regional cities for employment and housing that qualify for the $20,000 grant give james Cagney a call on +61 416 137 645 or click >>> HERE. If you are interested in the FHOG and the concessions each State or Territory gives click >>> HERE. Do not become emotionally involved or "loyal" to the state where you initially plan to settle when purchasing an investment property in Australia. Think of the property as a money box into which you, the tenant and the taxman (ATO), make deposits into. You must invest where you get the best capital growth and sustainable rental return. You can always use the equity in the investment property to buy your home. Many migrants choose the major cities in Australia to settle. The population of Sydney, Melbourne Brisbane and Perth and the surrounding towns has grown dramatically in recent years. A great proportion of this growth has come from overseas migration. Property prices have resin dramatically in Sydney, Melbourne, Darwin and Perth over the past few years. Fears of a Property Bubble in these major cities is rife and imminent. Brisbane is predicted to have the best future growth as property prices are reason able in comparison to the other capitals. Capital growth more than rental returns will give you the opportunity to increase the number of properties you can buy because of the increased equity in the properties, because this increases your capacity to borrow more money. Once you own a number of properties then rental returns becomes more important than capital growth. So go for capital growth first and then rental returns later as you need the cash flow to support the properties. The inner suburbs in the capital cities are popular for the younger and up and coming renters. We call them DINKS in Australia (Double Income No Kids). Existing properties in these areas are expensive, often need renovating and a lot of continuous maintenance. For the offshore investor this is a huge challenge to keep paying the expenses and investors should concentrate on purchasing new properties to avoid the stress. There are strict regulations about foreign investment so speak to us before you purchase a property. In the near future Sydney, Melbourne and Adelaide and the surrounding areas will be more affected by the frequent global recessions and crises because of it's large manufacturing base. The high cost of Australian labour is forcing many of the Australian manufactures to go offshore to Asia to remain competitive. Qantas, Ford, Holden and Alcan are the latest victims and more retrenchments will follow. The withdrawal of Holden in Adelaide and Ford in Geelong by 2017 and the adverse affect it will have on the supporting industries will unfortunately will make real estate in other areas within Australia a better proposition. The retrenchments will adversely affect the capital growth of real estate in these cities. Many laborer will have to move to other areas to find work which will increase vacancy rates and rental returns will decline in these areas. For more updated information please go to the "NEWS" and browse through the recent Articles and Updates by clicking >>>> here . PROCRASTINATION will keep you BROKE and FEAR will make you POOR and the worst thing about being POOR is it takes up all of your time. . How many of us know elderly folk who agonize over every dollar they have to spend. Make a decision today to take ACTION AND not end up like them. It is your choice so - choose today what you want from life and how much money you want at retirement. If you choose to be WEALTHY then you need to act NOW. Australia Hot Property (BN.20574423) have value for money properties that are in high growth areas. James spends time every day researching areas and contacting developers in these growth areas. Unfortunately, there are too many marketing organisations and property spruikers selling overpriced properties in areas that are showing no or limited growth because they have to sell the stock they have right now. Please contact us so we can give you more details of the properties we have for sale that will make you money. The fact is that many properties you find on property search websites have been there for months because they are either overpriced or undesirable. There are over 1.7 million properties listed and if you spend a few minutes studying each one it will take you 5 years to get through them all. It's impossible and ridiculous for you to even contemplate this. Australia Hot Property (AHP) do the research for you. Trying to get through the insurmountable data available yourself is like trying to get through the jungle with a machetee - it will take a lot of hard slog, time and money on your part. We have a CHAIN SAW to get through this jungle, which is more effective and less time consuming for you. Stop trying to do all the work yourself. and rely on others otherwise you will get "analysis paralysis" and never make a decision. You then end up with that terrible affliction in retirement "ican'tafforditis",which is not what you worked 45 years of your life to settle for. You will be thinking "Whats in it for me" (WIIFM) . Well AHP make commission when you buy a property. We obviously need to make money to stay in business. However, if we get you what you want.......we are entitled to get what we want. We will make you money..... and we thereby earn commission. It's the "Law of Reciprocity" and it works. Please note that in every one of our properties it is the seller who pays the commission not the purchaser. Despite the posturing by the opposing political parties in Australia to gain votes prior to Federal and State elections the property market follows the usual property cycles. Australia's proactive immigration policy and increasing birth rate has the population projection over the next 30 years increasing by as much as 40%. This will push the population in Australia to around 30 million people within the next 10 years. Mortgage interest rates in Australia are the lowest in 54 years. It is much easier to secure a loan for a home or investment property and the costs are a fraction of what they were a few years ago. Property is subject to fluctuations and follow cycles. 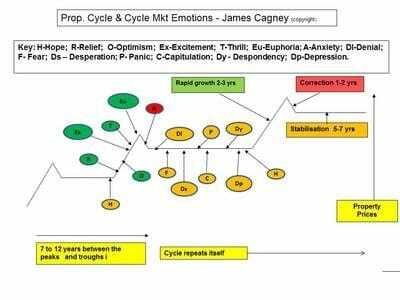 James Cagney has studied the actual property cycles over the years and he will give you his tried and tested interpretation of this. His clients and members of the Australian Investment Property Network (AIPN) have benefited greatly from his advice over the years. To find out more about the benefits of joining the AIPN click >>>> HERE. For more information on the actual Property Cycle go to the "NEWS" and browse through the recent Articles and Updates. The Property Cycle is under the article 'When is it the best time to buy and sell property" or click >>>> HERE. If you are interested in any of these propertie please click >>> HERE. NRAS is a Government program that will pay you tax free money for 10 years after purchase of a new investment property. The Australian Government has given this to assist to alleviate the huge shortage of rental housing on a national level and has created the National Rental Affordability Scheme, called "NRAS". The NRAS program is designed to focus on affordable housing and not social housing. The government is well aware of the previous problems created through public housing schemes and does not want to repeat the problems of the past.The Government has enlisted the support of the public sector to ensure the most favorable outcomes. It's doing this by providing substantial incentive is to property investors. These incentives can be as much as $103,500 over a ten year period. National Rental Affordability Scheme discontinues incentive allocations in the May 2014 Budget. The Government will achieve savings of $235.2 million over three years by not proceeding with Round 5 of the National Rental Affordability Scheme (NRAS). Funding for incentives from earlier rounds that are un-contracted or not used within agreed time frames will be returned to the Budget. Funding for tenanted NRAS properties is not affected. The Government has now confirmed its commitment to funding incentives for 35,000 NRAS properties. With the recent floods in Queensland and NSW it has forced the federal government to announced that NRAS funding is to be partially diverted for rebuilding damaged houses. This has now reduced the overall NRAS allocation by 15,000 houses and $264 million. How long this will last before the scheme has reached its full allocation is the unknown. We have talked to numerous NRAS investors achieving many more benefits over and above all that is currently available for them that negatively gear. This is an opportunity for investors to get in quick before the scheme is sold out. What can the investor receive? NRAS offers annual incentives for 10 years. There are two key components. (1) A Federal Government Incentive is indexed to inflation for 10 years at 1st May 2013 is $7,763 per dwelling as a refundable tax offset or payment. (2) A State or Territory Government Tax Free Incentive indexed to inflation for 10 years at the 1st May 2013 is $2,587 per dwelling for the year. The incentive is given annually on the condition that throughout the ten year period the dwelling is rented at 20% below the market rent to eligible lower and moderate-income households. The Federal and State or Territory Tax incentives total $10,350. The rent component, weighted average of eight capital cities is 3.7% for 2013 2014. If the weighted index continues at this rate you will receive approximately $103,500.00 over 10 years. The beauty of this is the Federal Government incentive is a tax offset not a tax deduction. 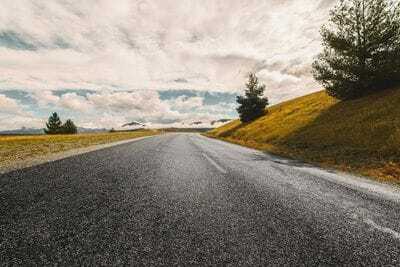 A tax offset is better because it is a direct reduction in the tax payable whereas a tax deduction is a reduction in the taxable income, which is then taxed. The State Government incentive is also tax free. The Federal Government tax offset is a refundable tax offset. Whilst most tax offsets can only reduce your tax payable to zero, according to the Australian Tax Office, "refundable tax offsets can reduce the amount of tax you are liable to pay to an amount less than zero, which results in a refundable amount". Therefore under NRAS, the State and Federal Governments are contributing by way of cash and a refundable tax offset or payment. So the investors rent out their property through the NRAS scheme giving a 20% discount on rent, the incentive in 2012 - 2013 financial year equates to $10,350 tax-free. The value of the incentive is adjusted yearly in accordance with the rent portion of CPI using the weighted average of the eight capital cities across Australia in any given year. NOTE: The NRAS Incentive is indexed according to movements in the Rents component of the Housing Group Consumer Price Index for the year, December quarter to December quarter as at 1 March, using the weighted average rate of eight capital cities housing component, and is effective from 1 May. What to be wary of with NRAS? Investors need to be aware that when borrowing for the NRAS property NRAS properties not all Banks will treat NRAS as standard security. This is because NRAS properties are rented at a minimum of 20% below market rent. This can reduce how much you can borrow from the banks, and this is why you need a qualified person to assess your financial situation and approach the right lender. Many NRAS properties are often approved in areas of lower household income and your capital growth potential will be retarded. Developers have found a way to offload their land in these lower income areas. Always look for capital growth first rather than focusing only on tax reducing programs before you buy an investment property. NRAS was developed to reduce rents for the lower to middle income earners Too many NRAS properties in one suburb will affect the capital growth potential of the entire area. Although the scheme was introduced to reduce rents for lower to moderate income families pressed by high rents this does affect the perception of the neighborhood by future investors, There are areas in all cities that are predominantly rental and these suburbs have never been high capital growth areas. If you would like to know more about the Government's NRAS scheme please click >>>>> here. Do you want to sell your property for a healthy profit and not make real estate agents rich? I am going to let you into the secrets that many real estate agents use to enrich themselves at your expense and you always end up losing money. 1. They persuade you to sell your property for under the market value. They tell you that the market is "bad", "down", "at the bottom" etc. etc., so you will agree to a lower price so they can get a quick sale and earn their commission. They use historic data to prove their point without taking into account the actual property cycle. In other words is the property in the "Rapid Growth", "Correction" or "Stabilisation" phase. This is as more important as historic data because it will tell you when the best time to sell will most likely occur. What happens you sell your property and a few months later the property market in the area goes up and you regret selling your property. How many times I have heard vendors say "If I only held onto the property for another year I would have made double the amount of money". Too late now because you did not get the right advise from lazy and unscrupulous real estate agents who are more interested in their own self promotion (putting "SOLD" signs up) and their commission than what is in your best interests. The truth is most agents can only sell property because they tell the buyer that they can get them a discount because they know what you will accept because you are now desperate to sell after months of trying and having spent your hard earned money on advertising. The fact is that the Real Estate Agent simply cannot act in the best interest of the "buyer" and the "seller" . It is impossible because he is after a commission for a sale and one party is going to lose and the other gain. 2. They give you an unrealistic high price for what your property is worth. Let's face it most people do have unrealistic expectations of what their property is worth. However, these real estate agents need to justify their jobs to their boss by getting listings at all costs so they can fill their advertising space with your money. You give them money for advertising and they have kept their job. If the property is not sold within a month because they will get very few inquiries because the price is unrealistically. We must acknowledge that buyers today are Internet savvy and they do their research and the agent can't pull the wool over their eyes. Just before the expiry date of your sole agency or exclusive agency agreement (more about this con below) the agent convinces you to lower your price and more often than not say you now have to spend more money on advertising. You do not want to throw away the money you have already spent on advertising so you agree to spend more of your hard earned money. Sellers are suckered in once again. Think about it - what a way for the agent and the Real Estate agency to increase their advertising exposure (once again) with your money? 3. They persuade you to give them a "sole" or "exclusive" agency. They justify this by saying that they are going to do so much for you (mostly over-promising and under delivering) and for that the agency deserves to have the sole right to sell the property. What you have done is exclude the other agencies in the area to sell your property! Of course, they tell you they will conjunct with other agents but the reality is the agent is not about to give away half of his commission to another agent. So if another agent has property in the ar ea they do the same and what they are doing is restricting choice and disadvantaging you as the vendor. And, why sell a property when the seller is paying for their advertising space. They are more inclined to push properties where the advertising money is exhausted and those where the sole agency is about to expire. Vendors are seldom inclined to give another sole mandate if the property is not sold within the allotted time-frame. Agents in the area are well aware when these sole mandates are about to expire and they will be knocking on your door spruiking their ability to sell your property. More advertising money is need of course and you are paying. 4. They are torn between the income from property management and giving you advice on selling your property. The value of a real estate agency is in the "Rent Role". This is the core of their potential profit and what they can sell to another agency. Therefore, property sales are the cream on the top for them - they are more interested in their rent role than in your goal to sell the property. Think about it - they can't sell their salespeople, the furniture is not worth much and the shop / offices is rented or leased. If there is a long term tenant in your property they may persuade you not to sell and you could lose out on the best time to sell your property. Or, they can put your property on the "back burner' and sell it only when they have a long term tenant in place. 5. They limit you to people looking for a home to live in rather than to investors. Agents that sell homes do not have the research that many other direct property professionals have. Therefore these agents can only try and build a story around your property to investors. Unfortunately for them Investors today are Internet smart and they go onto the numerous property sites that are available and do their research. Of course their are ethical and respectable real estate agencies in Australia but the games that many real estates agents play and the methods they use to prey on unsuspecting vendors who fall for it time and time again must be EXPOSED. Do not be conned by unscrupulous real estate agents who use the tactics above and obviously do not have your best interests at heart. Contact James and he will create a WIN / WIN for both buyer and seller and makes no apologies for that. Everybody wins this way and James commission is fair and competitive in the market place and is disclosed - no secrets, no games just looking after the interest of the buyer and the seller. James Cagney is a member of the Property Investment Professionals of Australia (PIPA) and wants to and must abide by the strict Code of Ethics of the Organisation. James will give you a realistic price and time-frame based on sound research and his knowledge of the Actual Property Cycle. He will advise when the best time for you to sell your property. It is about " Time in the market" and "Timing". The Property Cycles for your area and location of your property is paramount if you want to sell for the best price. James will take both of these into account in his Property Appraisal. For more information on the Actual Property Cycle click >>>>> HERE. Call James today for a FREE appraisal of your property by clicking>>>HERE and James will personally contact you. 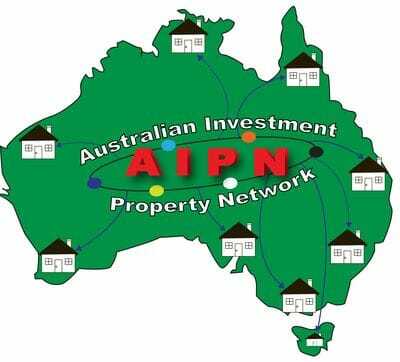 Australia Hot Property (AHP) ( No.BN20574423) and the Australian Investment Property Network (AIPN) are subsidiaries of IRPS Associates Pty Ltd, a registered Real Estate Agency in Queensland (No.3048759). James Cagney, has a Certificate IV in Real Estate Agency Practice and is a registered Real Estate agent in Queensland. James is a member of the Property Investment Professionals of Australia (PIPA). This organisation's goal is to uplift the ethics and standard of service within the Real Estate industry. Members have to abide by this strict "code of conduct" or be forced to resign from the PIPA organisation. James adheres to the code and promotes the ideals and goals of the organisation. Both AHP and AIPN are genuinely independent, ensuring total impartiality when recommending property for their investors. Many Developers and builders pose as independent marketers of property but push their own properties because they have bills to pay and they have the bank to appease so they can borrow more money to expand the development or for the next development. Real estate agents have contracts to sell specific properties of sellers and they just build a story around that property to persuade you to buy the property. Whether that property will grow in value is not their concern because they are not looking for ongoing business the are chasing the sale . If they don't do this the vendors will take the development away from them and give it to another real estate agency They simply have deadlines to meet or lose out on their commission. We pride ourselves on giving our clients sufficient data and a choice of properties that will give you financial freedom. We do this through working with Revalu8 and other reputable builders that we have carefully selected. More about Revalu8 below. James has his Finance and Mortgage Certificate IV, a member of COSL No. M0025259 and a registered Credit Representative No.462890 with Asset Financial Services Pty Ltd and he is able by law to give you advise on lending money. He has associates that are licensed Brokers, Financial Planners, Solicitors, Accountants, Property Managers, which he recommends to ensure you are protected and get the best advice. James is an advocate for property investors in Australia. Unfortunately the Real Estate industry in Australia has a very bad reputation. 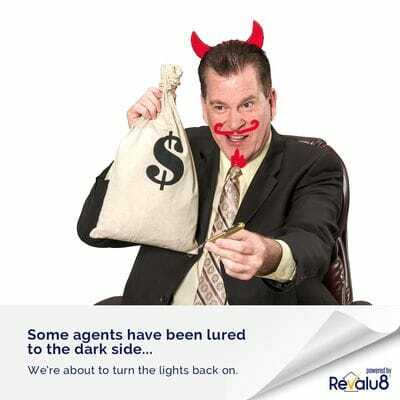 This reputation is not unfounded as many people have been conned by unscrupulous real estate agent in the past. James is constantly fighting for the rights of people who spend their hard earned money trying to secure their future through investment property. James is the founder of "a-fair-go", which stands up for the rights of property investors in Australia. 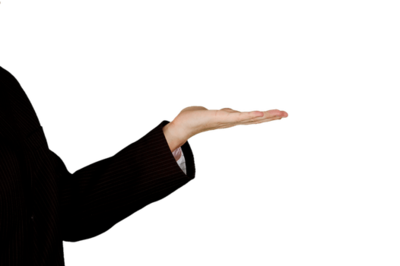 If you have a complaint about any real estate agent please contact James and he will investigate on you behalf so you can get "a--fair- go" to make an honest dollar. Just click >>> HERE to a share your concerns or clarify any issue about real estate in Australia. .
James is the founder of the Australia Investment Property Network, which property investors can join. We are looking for people throughout Australia who want to associate with other people who want to enjoy a retirement with lifestyle and dignity rather than been broke, embarrassed and ashamed and living off the charity of the government, family and friends. . If you want to know more about the benefits of owning investment property or want to continue investing and expanding your property portfolio please contact us by clicking >>>> HERE. Do you want to know more OR do you have another question about investing in property then to save you time simply scroll to the top of the page and click on the topic you want answered and it will take you to the relevant section. If you want insight into what is happening in real estate, immigration society and politics in Australia click>>>> HERE. Some of these articles will be hair-raising and controversial so please take time to go to this section NOW or ignore them at your own peril. You can also access previous 'Property Updates" for a realistic and practical view on the Australian property market and not opinion from property spruikers. Do it NOW because......procrastination is the biggest cause of failure and "ONE of these days"..... is....."None of these days"......click>>>HERE. Interested in the other services we provide then click on the Tabs above OR call James Cagney on +61 416 137 645 OR Fax +61 7 5657 7094. Please call between 09h00 to 18h00 Australian Eastern Standard Time (AEST). This is not financial advice. You should not act solely on the basis of the material contained on this website. Changes in legislation occur frequently and without prior notice. Items herein are general comments only and do not constitute or convey advice per Se. The data stated herein was taken from published data and the author and IRPS Associates Pty Ltd are not responsible for it's accuracy.